In the modern world, our minds are constantly invaded by media, advertising and technology and in order to reconnect with ourselves, we must first disconnect. 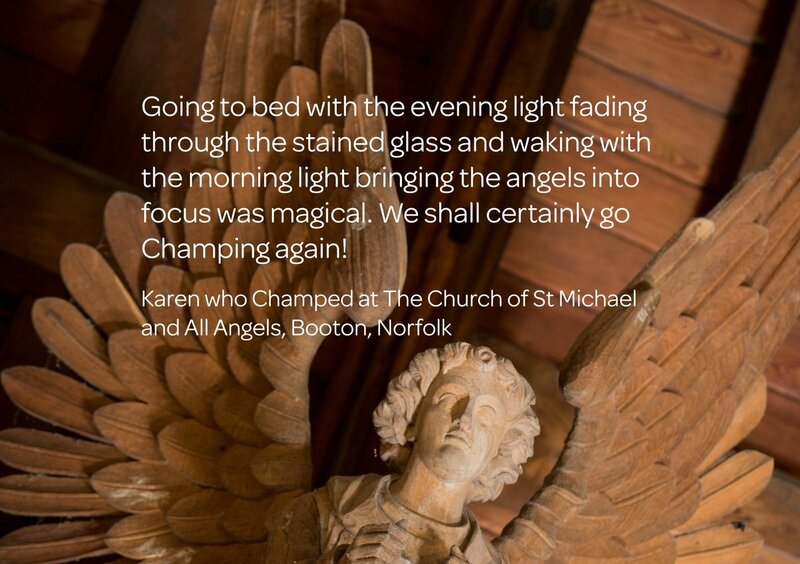 There are many ways that Champing can help you disconnect and create space for silence and calm. Here are a few ideas to bear in mind for a blissful Champ. Unplug from your technology and treat yourself to some ‘screen time’, Champing style! 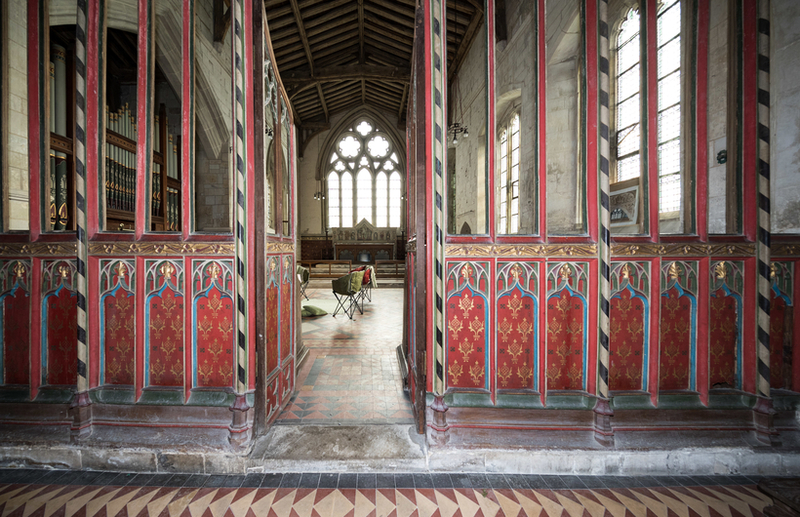 And by this, we mean ‘rood screen’ time, as can be seen in the image below, which shows the Champing sitting area set up behind the beautifully painted rood screen at St Mary’s Church, Edlesborough. Instead of being engrossed in your tablet or phone, with your head down, take a look up and marvel at the architecture. Explore the intricate designs with your eyes and be present in the moment. According to a recent article, which discusses a psychological study, high ceilings have been linked with a feeling of well-being and freedom. 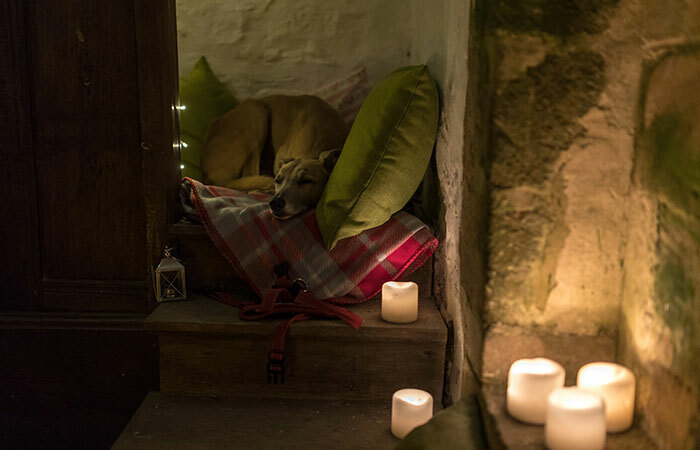 As churches have larger proportions that most homes or hotels, the ceiling height can have a real impact here, especially whilst lying in your camp bed. As well as giving your brain a holiday from the constant stream of technology, a Champing experience is best when shared with like-minded people. Enjoy group activities such as exploring the church or games (hide and seek anybody?!) or use the playing cards and board games we provide. One of my favourite Champing stays involved a few glasses of wine and the telling of spooky stories with my colleagues. Although you’re very welcome to try out the wonderful acoustics of the church or to shout from the pulpit ‘Here Endeth…’ in your loudest voice, churches are also oases of calm and silence. 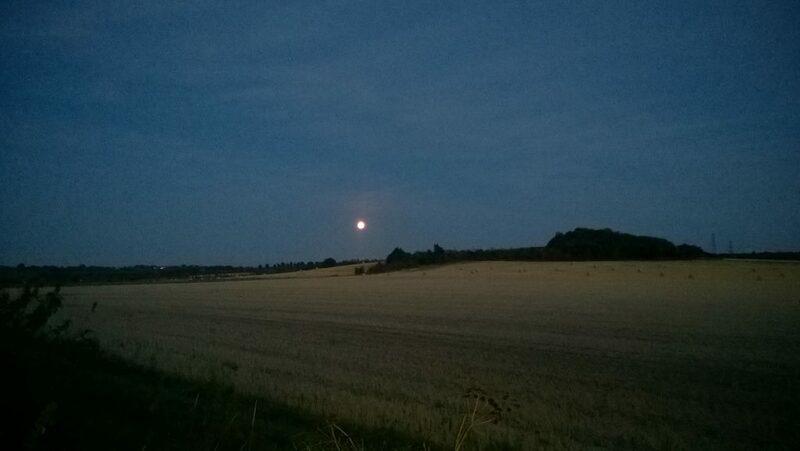 Why not make some space for a moment of quiet to recharge the mind and restore the senses. Champing churches are set in beautiful countryside and offer a plethora of walks to try. Here you can slow down and take time to enjoy your surroundings and just to ‘be’ rather than ‘do’. As well as giving you energy, walking boosts endorphins, the feel-good hormones that lower stress, which in turn improves positive feelings. According to research, walking through green spaces can put our brains into a meditative state, allowing us to pay attention to our surroundings while creating the calmness needed for reflection. So why not take some time to brings some mindfulness to your next Champing stay and get some screen time, Champing style!